HomeBasketballWhat does Syracuse basketball have to do to remain competitive? 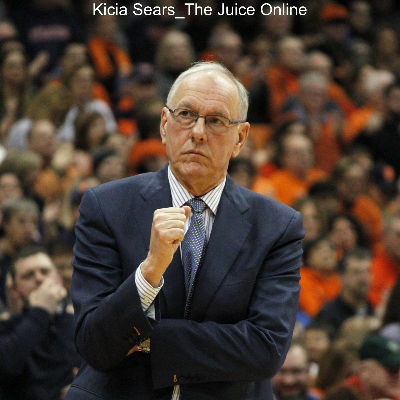 What does Syracuse basketball have to do to remain competitive? It’s been over a week since fellow ACC team Duke beat Wisconsin for the national title and reaffirmed the notion that you can absolutely win a title with one-and-done players. But as Wisconsin showed us, you can also win with exactly the opposite. You simply have to be talented, and get hot at the right time. I spent the week of April 1-7 in Indianapolis at the Final Four seeing firsthand four teams that were more similar than you’d think. Kentucky and Duke thrived under underclassmen, while Wisconsin and Michigan State thrived under their veterans (if you want to call 21-year-olds veterans). 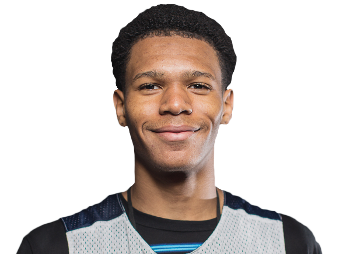 While each of the four schools had a mix of years represented, Kentucky/Duke and Wisconsin/Michigan State heavily relied on their underclassmen (UK/Duke) and vets (Wisco/MSU), respectively. These strategies got me thinking of where Syracuse stands, which is somewhere in between. 1. Keep replenishing the system. I know SU will have limitations for some time now, and the Orange won’t be able to shake the monkey of NCAA sanctions off its back for some time. So it’ll have to get used to having it there and work around it. Next year is a good start. Four freshmen are coming in. It’s a good mix of highly touted players who may leave early, and good players who may stick around. This is where Cuse thrives. There has always been a mix of talented youngsters and savvy vets to keep SU in balance. People may look at this year’s Duke team and see the emergence of Jahlil Okafor, Tyus Jones and Justise Winslow. And while they are all NBA-bound and played a significant role in the team’s title, one shouldn’t overlook the contributions of junior Amile Jefferson and senior Quinn Cook. 2. 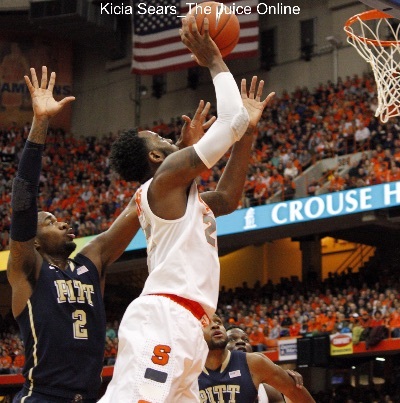 Hope that there are more Rakeem Christmas than Chris McCulloughs. This is a tough one. All respect to McCullough. And in regards to Christmas, while I wish he was as good all four years as he was this year, it was nice to see him develop and become a star this year. He arrived in 2011, when SU had arguably its best and deepest squad in quite some time. It helps to sit back and learn. Aside from talent, this may be the most important factor. The best team in basketball is not guaranteed a title. So many little pieces have to fall in to place. It’s really hard to win a title no matter how good you are (hello, Kentucky). Luck may seem like an obvious factor, but you need it. SU is still in an OK spot despite its limitations. It is a brand name school that can attract top recruits. But it’s not a Kentucky, constantly changing over with different players each year. This provides a balance of youthful talent and experience that is necessary to win the big one. It helps to have a Hall of Fame coach too. I’m not saying Cuse is going to win a title in the near future. The odds are against the Orange. But there are reasons for optimism. Any talented team can win. You just have to want it. And get the right calls.